Well it’s certainly not the easiest subject to choose to photograph but it sure is one of the most rewarding. Gosh, new life is so precious and from the first time I saw real newborn photography (other than Anne Geddes) I fell in love. Back in my lab days we use to host proofing sites for people to view images. One day I got a call that one of our photographer’s Nicki Kristof was having an issue and I needed to fix one of their proofing sites and it happened. I opened up a site to fix it and I fell in love with these incredible images in front of me, I can still remember then so vividly. I’m sure I eventually fixed the issue but there was a lot of ohhh and aww first – I was in all. I am not sure how many hours I spent stalking Nicki’s work online that day but she is the reason I fell in love with newborn photography. Oh her work is just adorable! I still follow and adore her work till this day. At that point I owned a DSLR and I was photographing lots of landscapes and images of my nieces and nephews but I knew that day I wanted to capture Newborn Photography, I wanted to capture the celebration of life, and I wanted spread joy and happiness with newborn art. I just knew it. In 2008 I was blessed with a new nephew and my first newborn client. Quickly I learned this was a little different than those landscape images I had become so good at capturing. 😉 Oh boy, let the learning begin! The first thing I learned was – THIS IS HARD WORK. REALLY HARD WORK. The baby is in charge and getting them to settle can be a small feat. But hard work has never really scared me and I am blessed with patience so I knew it was the right fit. I kind of like that it’s really hard work, it means not everyone is called to do it. You have to have a talent and knack for it, you have to work hard to get it right and it’s really a set of skills that takes time to develop. There is a whole lot to learn about safety and soothing techniques, poop handling and posing flows. Not all babies will get into the position you envisioned and you have to remain flexible and ready to move to something else. I have taken a whole lot of education since 2008 and captured a whole lot of babies in between. Here is a comparison of my first and latest session. I’m so glad I kept going! You quickly forget about the hour of rocking, the sweat from the heat or the wet blankets you had to clean up. I think life is so beautiful and newborns are just a precious. 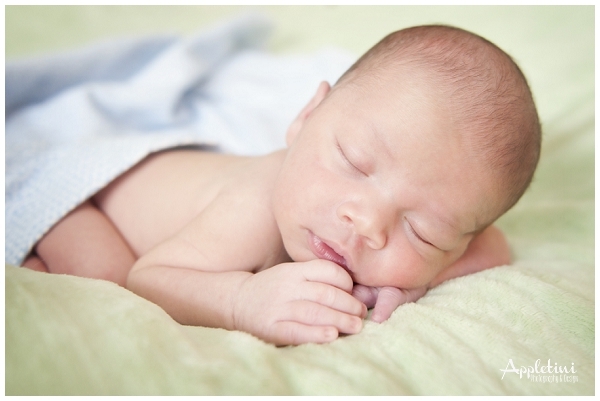 Nothing lights up a room quicker than a new baby, it’s a milestone in my client’s life and I love to capture it. Newborns are only super tiny for those first 15 days and then it seems like their growth explodes. 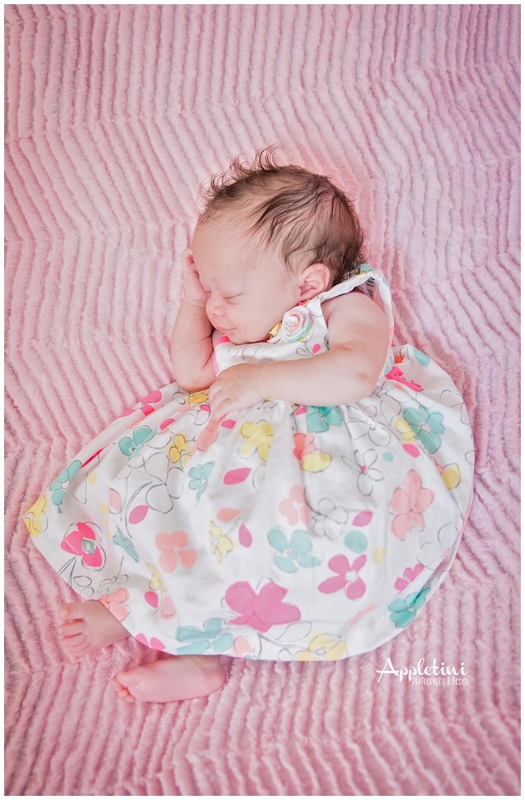 I love being the girl who gets to capture a baby’s first photograph! It’s an honor and such an important job. 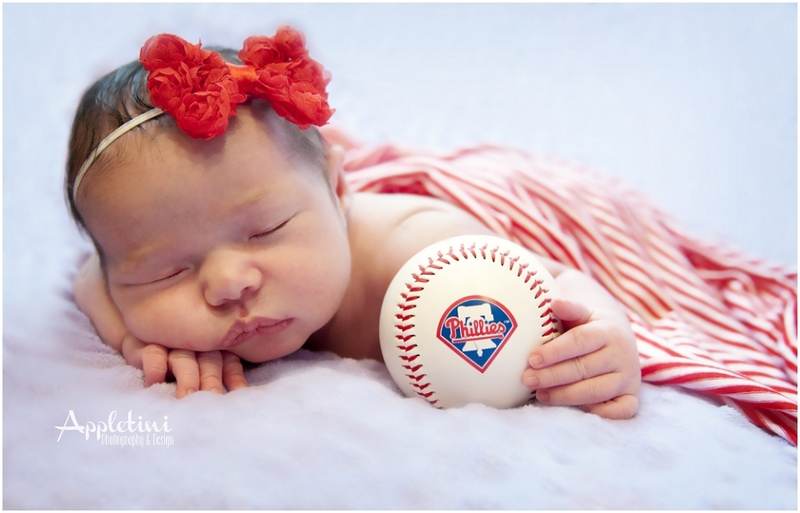 I love how much joy capturing newborns brings to not only my clients but all of the people who see the images. 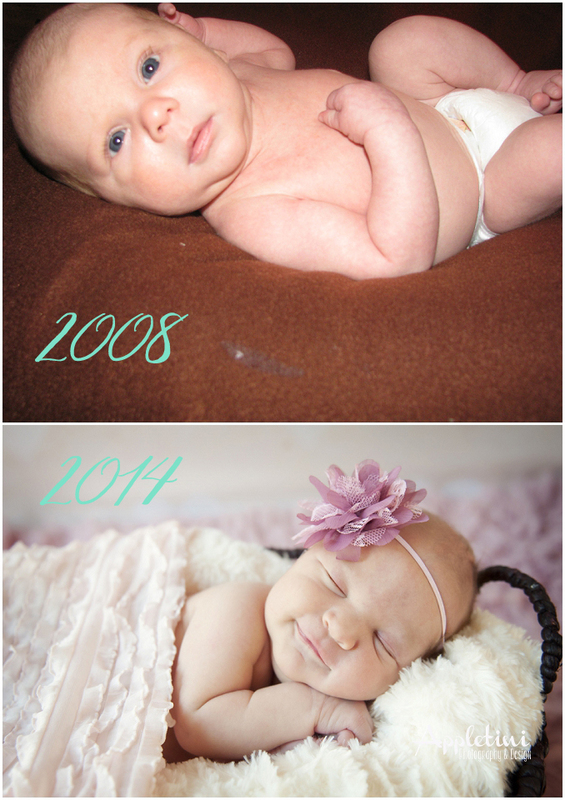 From my Facebook fans, to my likers over on Instagram to my loyal blog readers, people love to see newborn images. Newborn Art spreads so much joy and I love that I get to be a part of that. If all that wasn’t enough, I also get snuggle time! Best bonus I’ve ever received! 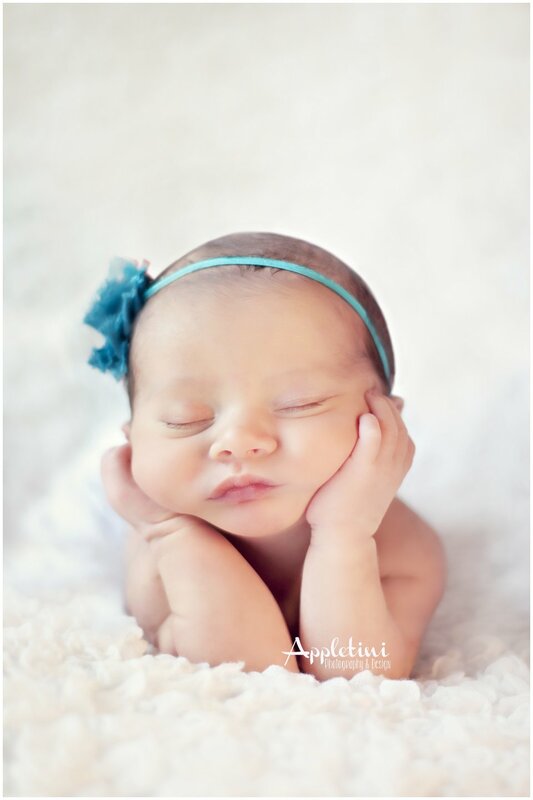 Want to learn more about Appletini Photography Newborns? Click HERE to see my services offered in Bucks County. 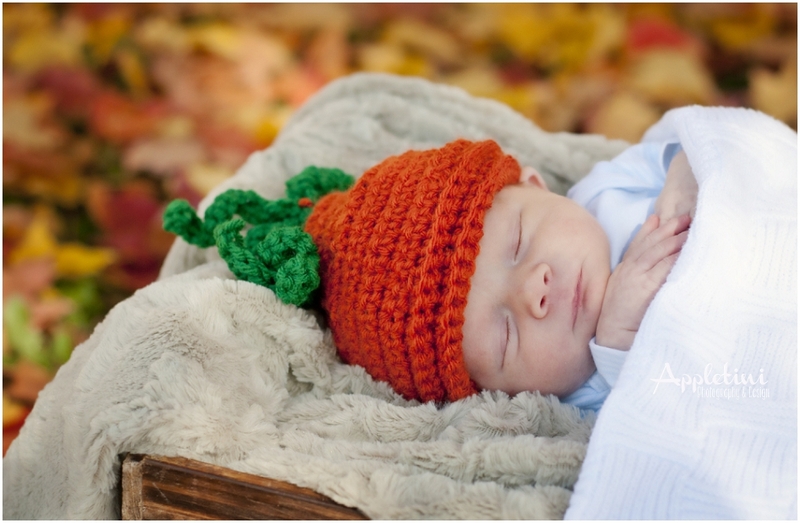 I am willing to travel pretty far for an adorable newborn but focus my time in Newtown, Yardley, Morrisville, Langhorne, Washington’s Crossing and the surrounding areas. All of you pictures are so beautiful, you have a true gift.